Each Claybord hinged box is completely customizable and includes Ampersand's signature Claybord smooth surface on the lid's exterior and unfinished wood sides. 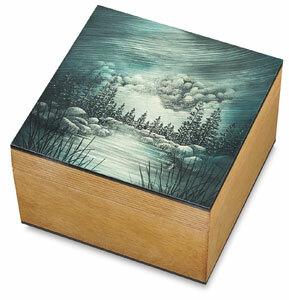 Decorate the top with any water-based paint, or try collage, or photo-transfer. ™ Ampersand is a trademark.™ Claybord is a trademark of Ampersand Art Supply.